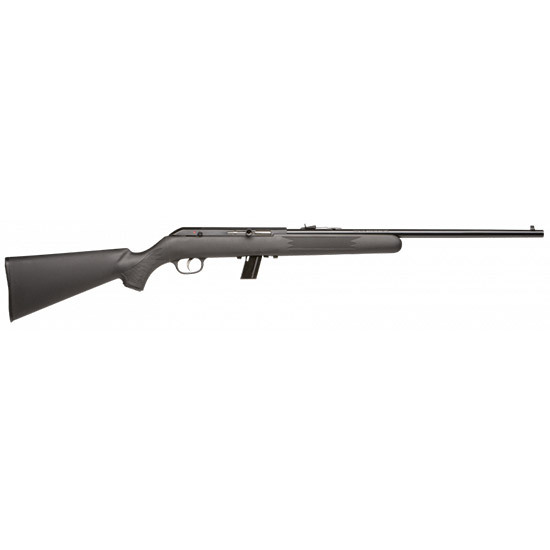 Savage 40060 64 FL LH Semi-Automatic 22 Long Rifle 21 10+1 Synthetic Black Stk Blued in. The Savage Arms 64F semiautomatic rifle is chambered in 22LR and has a 101 capacity. It has a carbon steel blued finish barrel that is drilled and tapped for scope mounts and a synthetic matte black stock.This model is configured for left handed shooters.